For expats with children, finding and enrolling in schools is one of the highest priorities when arriving in Gent. Not only is it a personal priority, it is also a legal requirement. New residents in Belgium must enroll their children (from age 6 until 18) in school within sixty days of completing their national registration. This article, together with our overview of the education system, provides basic information about the education system in Belgium. Our separate article, Finding and Registering for Basic Schools in Gent, describes how to find and register for Pre-Primary and Primary schools in Gent. In Flanders, Basic and Secondary education is governed by the Flemish Ministry of Education and Training (het Vlaams Ministerie van Onderwijs en Vorming). Public, government sponsored education is called “official education” (officieel onderwijs). Private education, which is funded privately but may also be government-aided, is known as “free education” (vrij onderwijs). But don’t be confused, “official” schools are free to attend, while private schools are usually not. Official schools in Belgium are coeducational. While attendance is free, parents may be asked to pay for supplies, field trips, and other costs. The Flemish government provides school and study allowances (schooltoelagen en studietoelagen) to some students. You can see if you are qualified to receive an allowance at this website. Basic education (basisonderwijs) includes Pre-Primary education (kleuteronderwijs) and Primary education (lager onderwijs). This is followed by Secondary education (secundair onderwijs). Children can enter Pre-Primary school at two-and-a-half years old, but it is not compulsory. For children between two-and-a-half years and three years old, there are seven possible start dates for Pre-Primary school during the year. Once they are three years old, they can enter Pre-Primary school at any time. You can calculate the start date for your child based on their date of birth at this link. The Flemish Ministry of Education and Training provides resources for parents and children upon entering Pre-Primary education, including this brochure (in Dutch). Summarized versions of the brochure are available in 13 other languages, including English. Children must have attended a Dutch speaking Pre-Primary school for at least 250 half days in the year preceding their initial enrollment in Primary school (at six years old). There are some exceptions to this rule. Compulsory education begins at six years old, at which time a student enters Primary school. Children usually start Primary school in the September of the year they turn six. Primary school refers to the first six years of compulsory education. It provides basic instruction in reading, writing, and math. Upon completion of Primary school, students are awarded a certificate and advance to Secondary school. Education remains compulsory through Secondary school until 18 years of age. Assuming the student began Primary school at age six, they will begin Secondary school at age twelve. Here their learning focuses on the humanities, or on technical, artistic, or vocational learning. This is preparation for either entering university or qualifying for a specific career. Official Belgian schools provide instruction in the language native to their region. Therefore, Flemish schools are conducted in Dutch. Some schools in Belgium offer other language immersion programs. Some schools in Gent offer English lessons after regular school hours. Typically, learning a second language begins in the fifth year of Primary school. New students to Flemish Primary schools are given a language screening to assess their proficiency in Dutch. However, this is not required for a student who is considered a “foreign-language newcomer” (anderstalige nieuwkomer). Foreign-language newcomers are students who have not lived in Belgium for long and whose proficiency in Dutch is not strong enough to follow lessons. Included in this classification are expats, adopted children, refugees, asylum seekers, and more. More about this classification can be found here. These students are required to attend school just like all other children in Belgium. They are therefore afforded the same rights to education and school choice. They are entitled to Dutch language support for one to two years. Primary schools are given flexibility on how to handle this. It may come in the form of “Reception Education” (onthaalonderwijs), which could include supplemental language courses or separate classes for the students. Most Belgian schools conduct only a half day of instruction on Wednesdays. For Wednesday afternoons, and for other before-school and after-school care, schools may have childcare options for working families, usually at an additional cost. If not, a school should be able to recommend nearby options. Schools may also offer extracurricular activities at these times. The City of Gent provides information about STIBOs and IBOs (out-of-school care) here, and holiday care here. In Belgium, students are not assigned to schools by zones or neighborhoods. Parents can choose where their children enroll in school, though enrollment in any specific school is not guaranteed. In our separate article, Finding and Registering for Basic Schools in Gent, we describe the process for finding and enrolling in Pre-Primary and Primary schools in Gent. 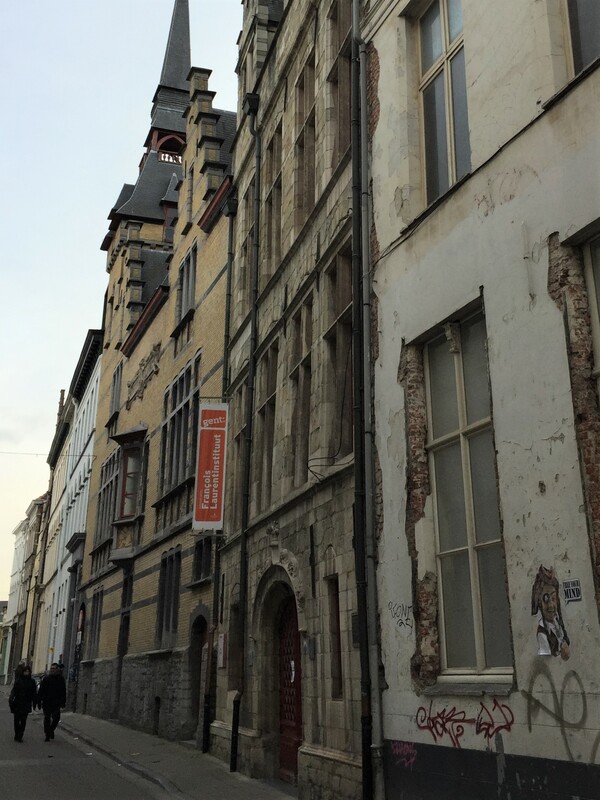 A great overview of the schoolsystem and -offer in Ghent and Flanders.